SEQUOIA AND KINGS CANYON NATIONAL PARKS, Calif. July 29, 2018 – The firefighter who lost his life in an accident on the fireline this morning has been identified as Brian Hughes, Captain of the Arrowhead Interagency Hotshots. He was 33. The fatal incident occurred earlier this morning. 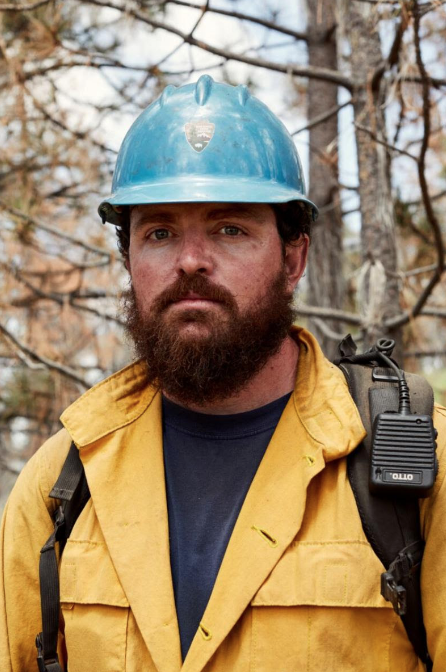 At the time, Hughes and his crew were engaged in a tactical firing operation on the east side of the Ferguson Fire. They were operating in an area with a large amount of tree mortality. Hughes was struck by a tree. He was treated on scene, but passed away before he could be transported to a hospital. Hughes was originally from Hilo, Hawai`i, and has been with the Arrowhead Interagency Hotshots for four years. The parks ask that public and media respect the other crew members’ privacy during this tragic time. A photo of Brian Hughes accompanies this news release. Additional updates will be issued as information becomes available. Captain Brian Hughes of the Arrowhead Hotshots. Photo from Brad Torchia.